Categories: Earrings, Charm Earrings, Antique Bronze Charm Earrings, Sale. 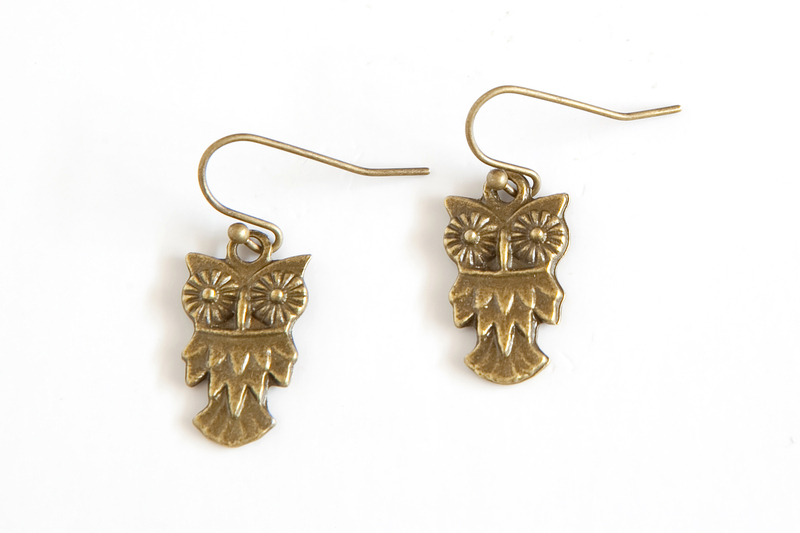 Feel as light as a feather in easy to wear and lightweight wise owl earrings from Nest of Pambula. These antique bronze drops are designed to enhance any outfit, and are lead free and nickel free, making them kind to sensitive ears. Our jewellery is packaged in our hand stamped muslin bag, and are designed to be worn again and again. n.b. not to be exposed to water for extensive periods of time.